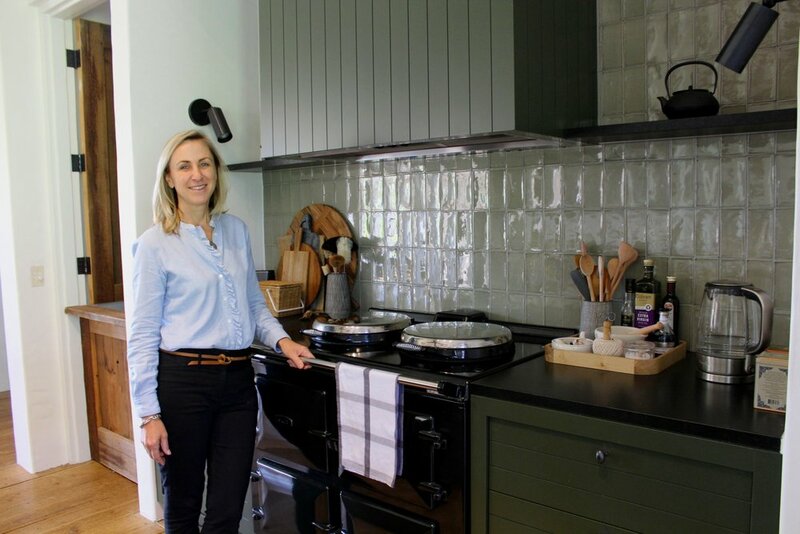 Meet acclaimed chef, restaurant owner, wife, and now AGA cooking class instructor Annie Smithers, a name synonymous with classic French farm house cooking with a paddock to plate type principle. The drive out to Annie’s property is as beautiful as I imagined. She lives at Babbington Park, a 23 acre property in Lyonville, with her Wife Susan and their two daughters. It’s peaceful and the gardens are vibrant and fresh; Annie tells me her gardens have rich soil, and a lovely spring fed source of water which makes life great for the vegetables. As I exit my car I’m greeted by their dog and group of geese who have now found their own fame. Their home is on the same land as Annie’s cooking classes – she hold’s general classes and now AGA 60 cooking classes. The cooking classes are held in the old Weslyn Lyonville church located on their property. The room is inviting and the warmth from the AGA is immediately felt. And of course, there is a beautiful smell of food cooking in the AGA, what else did I expect? “Owning an AGA encourages you to cook from the heart and not from just the latest cooking magazine that says, “this is how you do it”. Images and words by Paula Vinci.